Tottenham Ladies tightened their grip at the top of the FA Women's Championship after Rianna Dean scored an injury-time winner to seal a 3-2 victory at bottom of the table Millwall Lionesses. 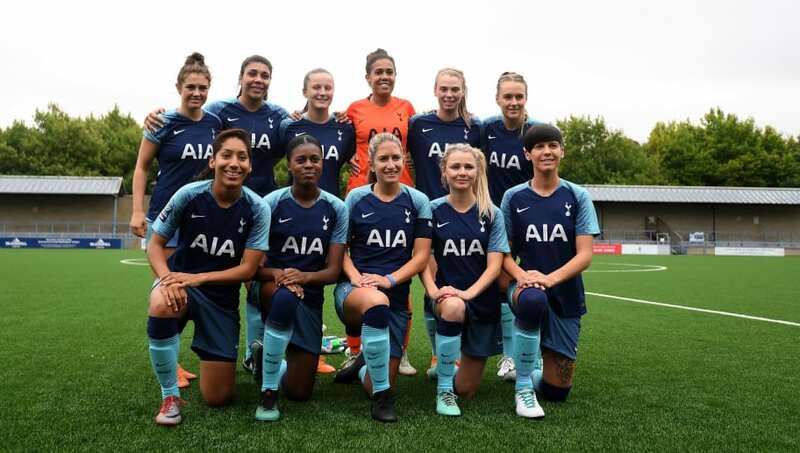 Spurs, who have been the league's frontrunners for promotion to the Women's Super League, headed into the game on Sunday having lost just two games all season and confident of another victory. After going into the break all-square thanks to goals from ​Spurs' Sarah Wiltshire and Millwall's Evie Clarke, the game well and truly came alive in the final ten minutes. Substitute Emma Beckett headed the visitors in front and on course for victory, but the home side responded and thought they had earned just their third point of the season when Beth Lumsden levelled things up in the first minute of stoppage time. But former Lioness and England Under-21 international Dean broke ​Millwall hearts when she fired past Chloe Samson and ensured Spurs picked up all three points against the league's bottom side. With fourth-placed Manchester United not playing, Charlton Athletic reignited their own promotion push thanks to a well-earned 3-2 win over Sheffield United at Olympic Legacy Park. Goals from Kit Graham and Lily Agg had put Charlton two up, before Bex Rayner pulled one back for the home side. But a Charley Clifford strike re-opened the Addicks' two-goal lead and ensured that a late penalty from Ebony Salmon wasn't enough to deny the visitors a much-needed victory. The result sees Charlton now move up into second in the Championship and just four points off leaders Tottenham, although Casey Stoney's ​Manchester United side are only a point behind with two games in hand. Fellow promotion chasers Durham produced a professional performance as they saw off second-from-bottom ​Crystal Palace 2-0 at Hayes Lane. A goal apiece from Emily Roberts and Nicki Gears either side of half time handed the visitors all three points and left Palace reeling from their fourth defeat in six games. Elsewhere, mid-table Aston Villa and Leicester City played out a hard-fought goalless draw in only Villa's second match at Villa Park. The two sides' goalkeepers, Sian Rogers and Demi Lambourne, were in fine fettle in between the posts, and when Leicester thought they had scored the game's only goal with less than a quarter of an hour to go, it was ruled out for offside. In the matchday's remaining fixture, strikes from Brooke Nun and Ruesha Littlejohn gave the London Bees their sixth win in seven matches, but the side remain eight points off a promotion spot. It's still tight at the top! The FA Women's Championship takes a break next weekend as the fourth round of the SSE FA Women's Cup gets underway with ties set to be played on 3rd February.